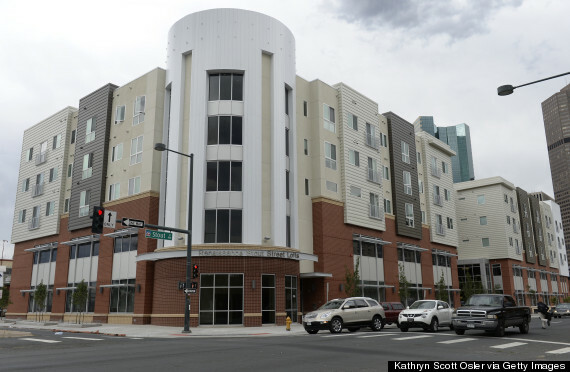 The Stout Street Health Center & Renaissance Lofts has provided acute and primary medical, mental health, and oral health care to Denver’s downtown homeless population for over 25 years, serving more than 8,700 people a year. The Center has expanded access to these critical medical services with construction of a 50,000-square-foot replacement facility that allows the Center to increase this number by approximately 75% for a total of up to 15,500 people served each year. The health facility is part of a $35.3 million dollar mixed-use development that includes the Renaissance Stout Street Lofts, 78 units of supportive housing for homeless and low-income families and youths.